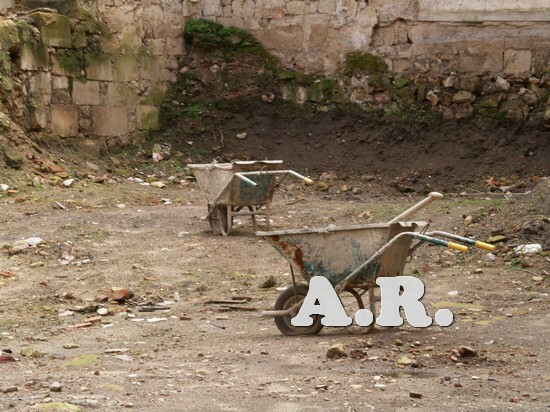 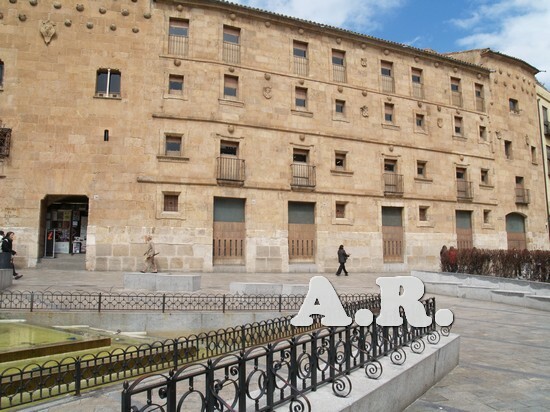 Fotografías realizadas en una parada en Salamanca en el Parador desde el cual se obtuvieron varias de estas imágenes. 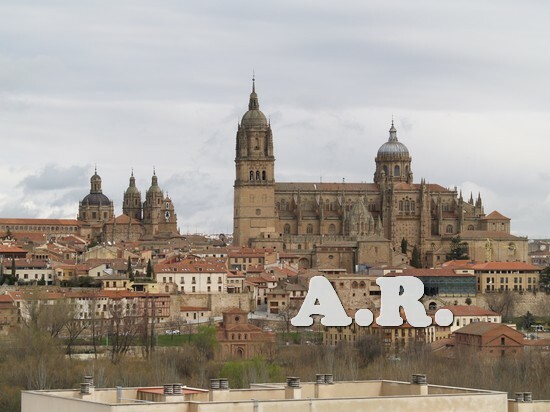 Salamanca is a town considered World Heritage. 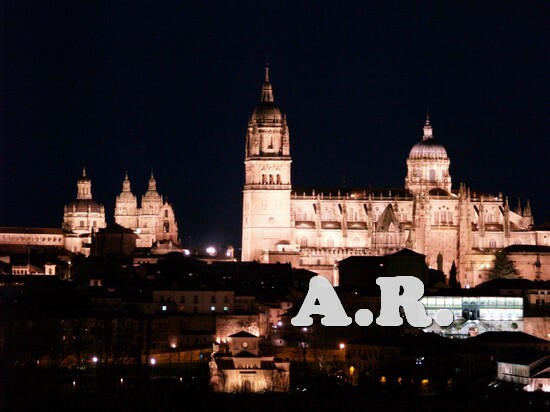 The city is famous for its two cathedrals which are the principal highlight of the skyline fo the city. 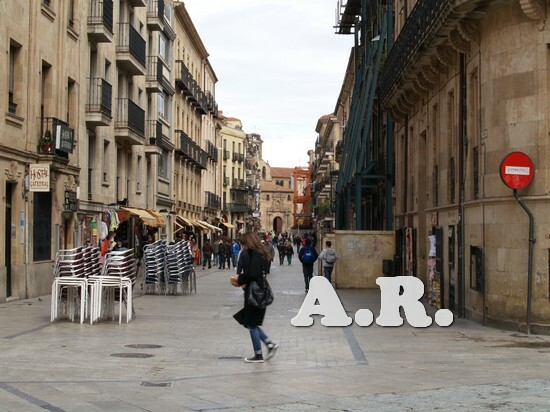 These photographs are made, in part, during a walk through its streets. 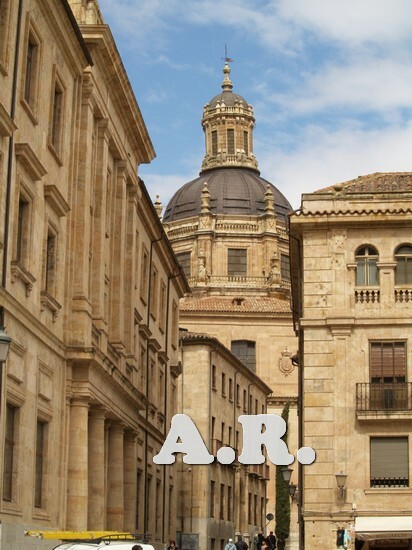 The walk took place walking on and also travelling in a small tourist train that runs through the city. 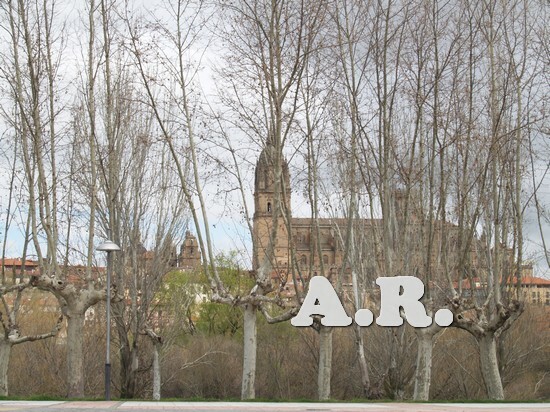 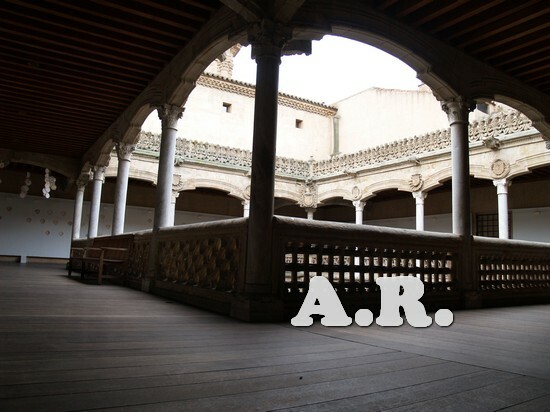 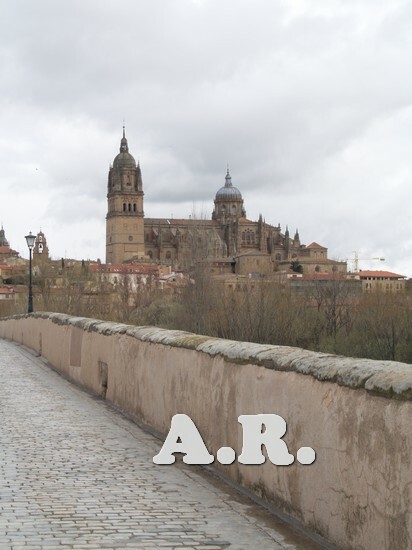 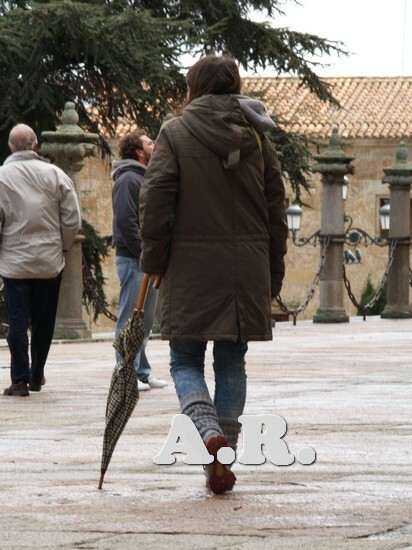 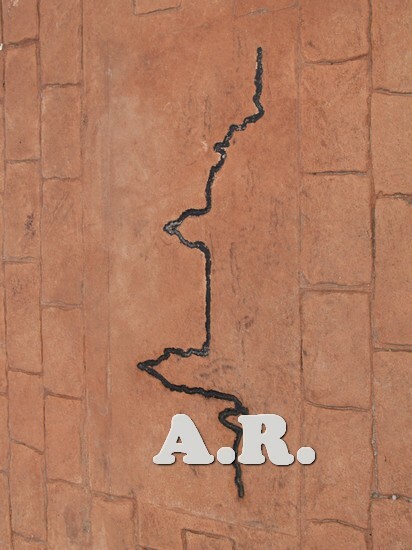 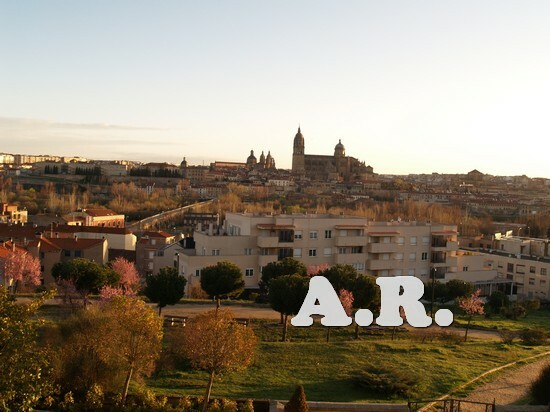 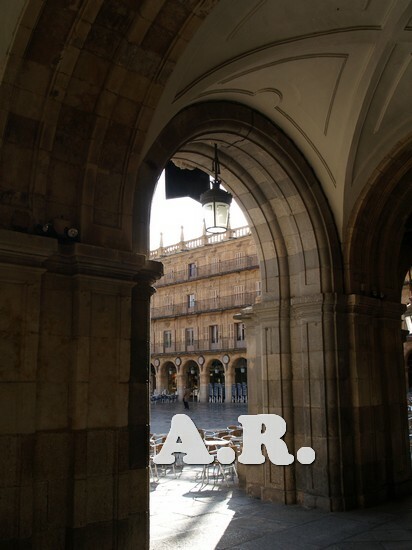 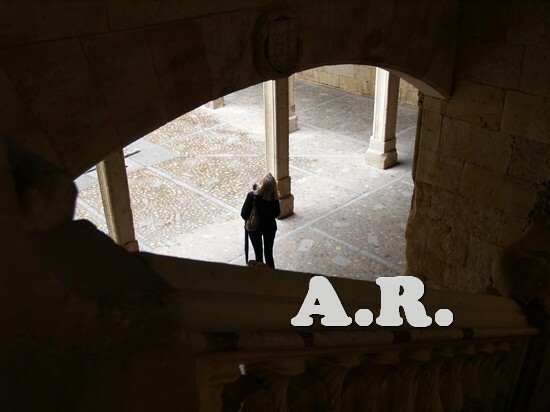 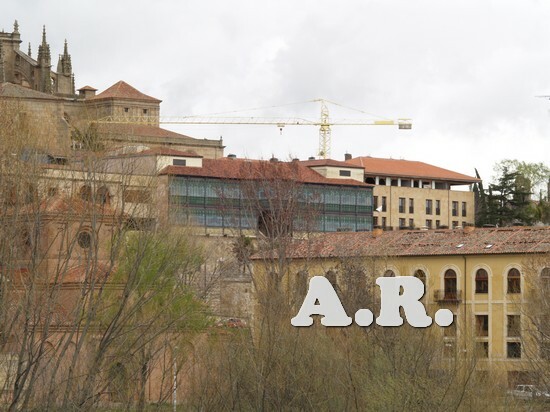 Other photos are taken from the “ Parador Nacional de Salamanca”. 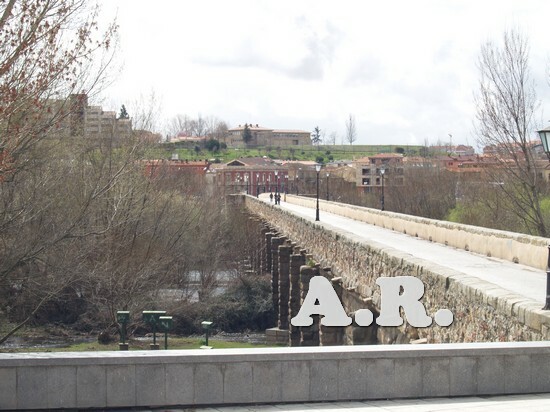 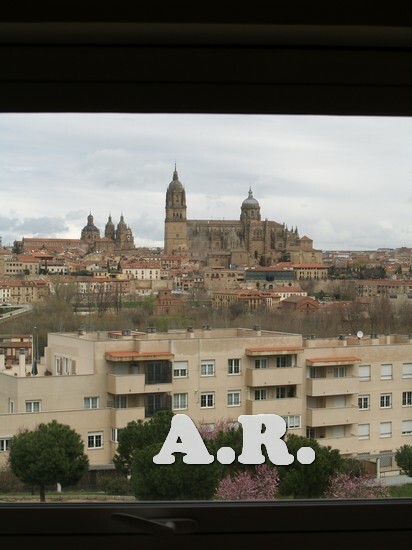 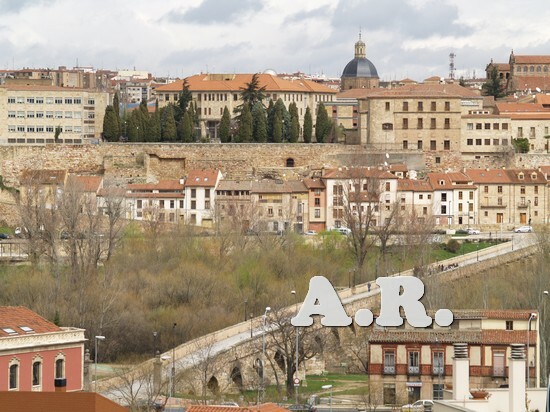 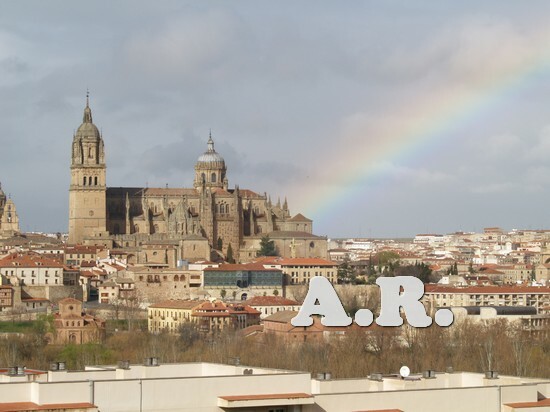 The photos taken from the Parador shows the profile of the city, one of the photos included the rainbow. 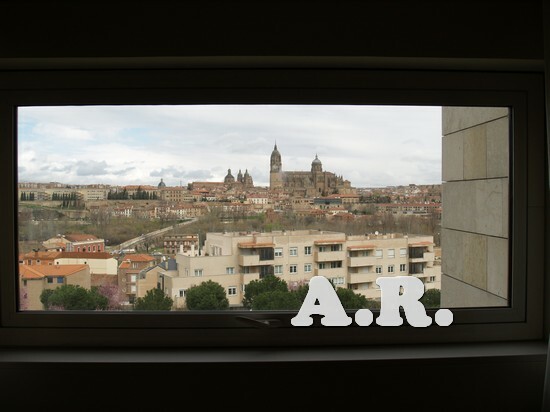 Other photos are made from the window of the room so they look like inside a black frame. 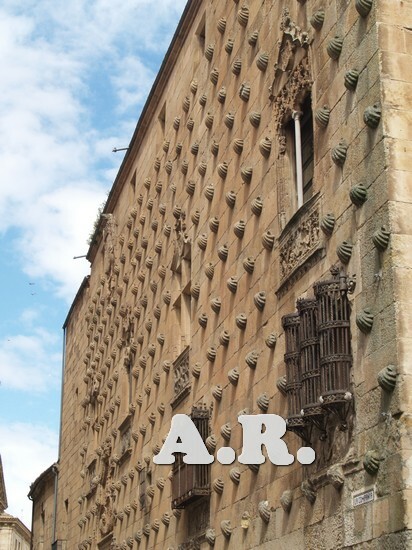 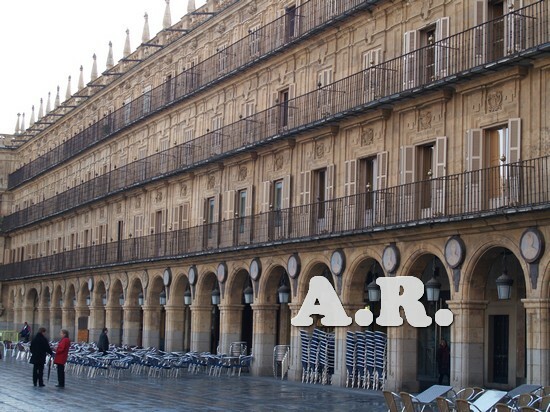 The photos show well-known monuments such as the courtyard of La Casa de las Conchas, the Plaza Mayor, the old quarter, the river Tormes and the “Casa Lis”. 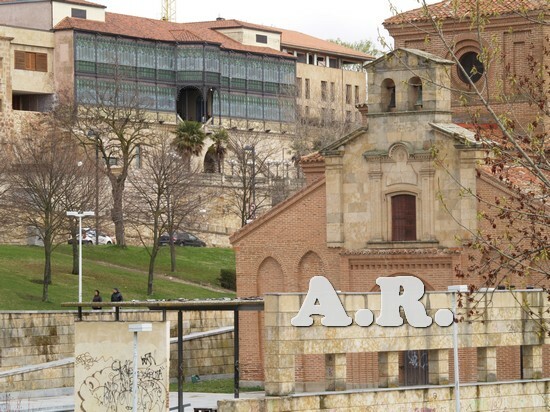 The museum “Casa Lis” house holds a large collection of art deco, from sculptures to furniture and paintings. 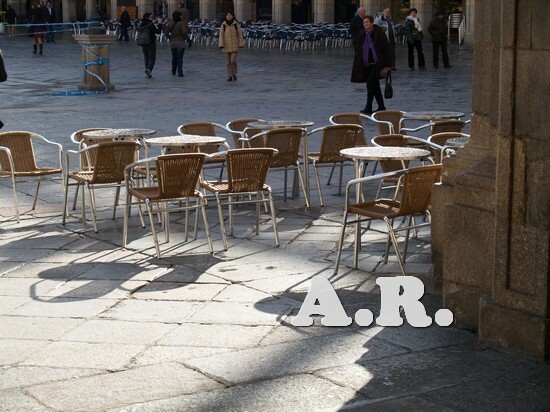 Finally there are photographs of walkers and tourists. 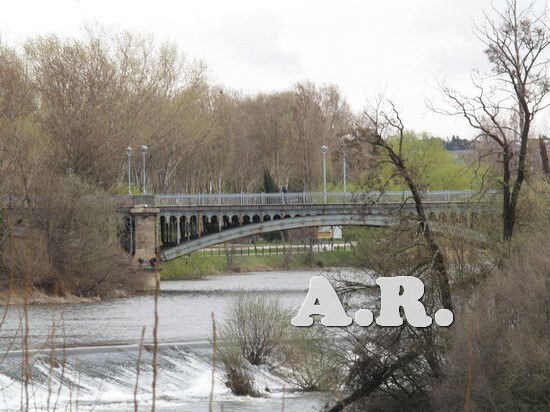 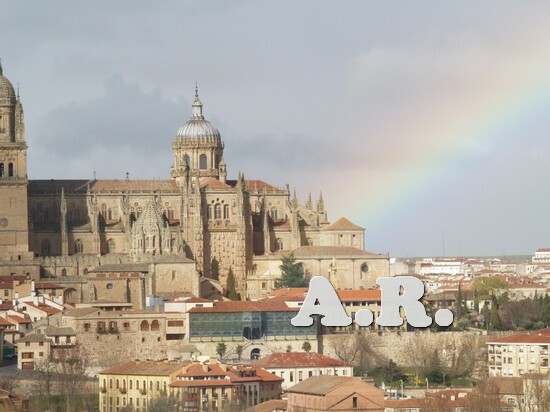 Fotografía de Salamanca con arco iris. 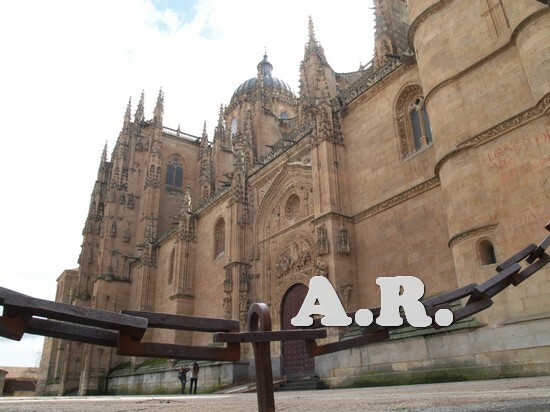 Foto, logotipo de Salamanca con el perfil de la Catedral.